Şahap Kavcıoğlu, a deputy from the ruling Justice and Development Party (AK Party), said academics, journalists and politicians who signed a peace declaration in 2016 do not deserve to live, Gazete Duvar reported on Tuesday. 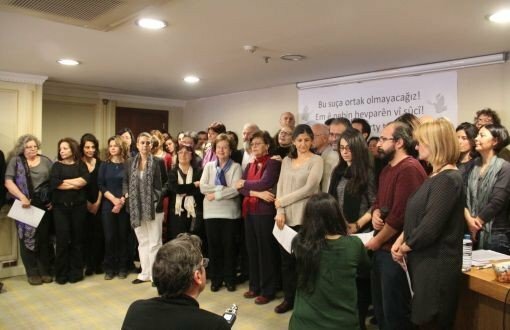 Academics for peace demanded that the Turkish government put an end to blockades and curfews in Kurdish towns, avoid targeting civilians in the conflict with the militant PKK, reinstate necessary conditions for a cease-fire with the militants and ultimately secure an atmosphere for a sustainable peace between the Kurds and the Turkish state. This article originally appeared in Turkish Minute on Nov 14.